We are Santiago and Ximena from Vilcabamba, Ecuador. We have been living in this sacred San Pedro Valley with our family for the past 17 years. We act as guardians of this beautiful native Huilcos (Willka Tree) and Awacoya (San Pedro Cactus) forest. The Wilka tree is the representation of the sacred tree of life to the Inca people, and it grows symbiotically with the San Pedro cactus, providing necessary protection from the sun and wind. It has been a long journey for this dream to take shape. Our vision is to create an authentic and loving environment, offering therapies to help you connect deeply with your own heart and the need to grow, needs which we all share as a human family. We work with small groups (10 people maximum), so we can optimize the quality of your experience, and share the space as a family. We are blessed with a beautiful location within the Valley of Longevity, where we seek to integrate ourselves with its powerful medicine; our retreats include walking through its mountains, cleansing ourselves in the waterfalls and in the river in front of our home. We make offerings, meditate, practice yoga, hold sweat lodges and ceremonies to encourage this integration. 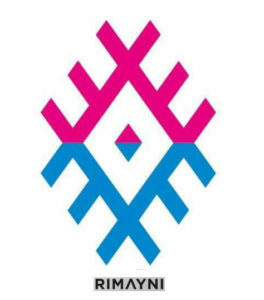 We wish to contribute to the potential of the human experience, living in the way of ‘Allyn Causay’ (the art of good living), preached and practiced by many of our ancestral traditions. We turn back to these traditions for their teachings, learning what it means to dance with the mountains and to carry beauty relations with ourselves and others. We are learning to heal our lives by aligning ourselves with a coherent and higher purpose. 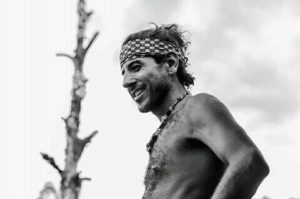 Santiago comes from a long tradition of sacred indigenous teachings tracing back to the Cofan, Huaorani, Secoya and Kichwa tribes who he has lived among. 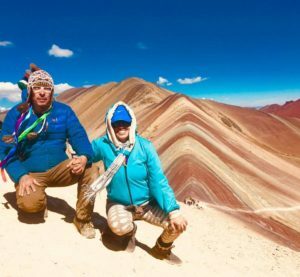 Born in 1966, a native to Ecuador, Santiago found himself on the shamanic path at the age twenty-six after overcoming a serious illness working with sacred plants and the healing traditions of the Andes that extend down from Ecuador to Peru. He has since devoted his life to the path of indigenous teachings and healing with the sacred medicine of San Pedro. He carries the blessings of his elders, tribal chiefs, his family and all the many medicine people whom he was initiated under. 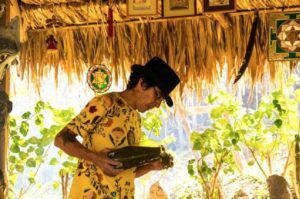 Santiago is well known throughout Ecuador and the Americas as a highly respected Shaman and a gifted healer, when you work with Santiago you will quickly learn why. Santiago is humble, deeply compassionate, wise beyond his years and carries a deep and powerful intention to heal with the spirit of San Pedro. 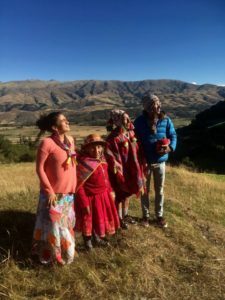 Santiago has lived in Vilcabamba, Ecuador for over fourteen years along with his wife, two daughters and two sons. Well known and loved in the community, he works tirelessly to offer healing to all those who seek his help. He is also the guardian and keeper of one of the last San Pedro forests here in southern Ecuador. His medicine songs, prayers and blessings carry the intentions of the spirit in his heart and are a special gift to all those who have a chance to work with him. Santiago speaks Spanish as well as English and creates a healing space in his ceremonies where everyone feels comfortable and safe. Santiago works with the sacred tools of his ancestors that have been passed down for generations, the power and presence of his lineage speaks in all the work he does. 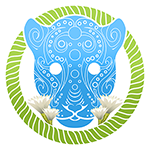 Santiago works with many animal spirit energies, including Jaguar, Mountain Lion, Fox, Coyote and Hummingbird. 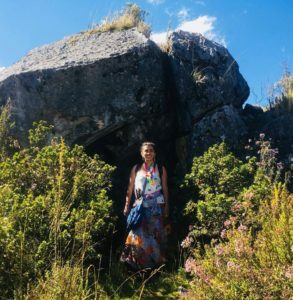 To work with Santiago is to learn the ancient traditions these sacred ceremonies represent and to re-connect with the subtle energies of spirit, so you can heal on all levels and start to transform your life. 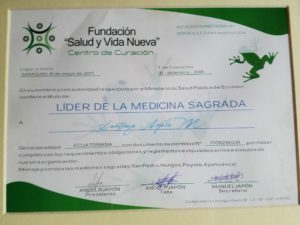 Santiago has led countless San Pedro medicine ceremonies and has helped hundreds of people. It is very rare to have an opportunity to work with Santiago in his home setting with much smaller groups, usually 6 to 8 people. His Moloka where he holds ceremonies sits high on top of the sacred mountains of Vilcabamba with breathtaking vistas. To climb the path up the mountain and find yourself in this sacred setting is truly an experience you will remember forever. To read Santiago’s self-written bio, click here. Those that know me understand it takes a lot for me to speak about myself. Even more so regarding this other dimension of mine, but here we go. I started along this path, on a school trip to the Pachacamac Temple in Lima, Peru, when I was 7 years old. My childhood and teenage years were deeply marked by the painful internal armed conflict. When I was 20 I embarked on a one way trip to Mexico, where I reconnected to my heart’s ancestry. I then became a mother of four. And I must say, this became my most sacred spiritual initiation, the most challenging and the most sublime. I am initiated on the path of Bhakti, of the Vedas. 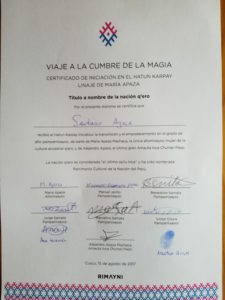 I am also initiated as a Pampamisayoc within the Andean Q’ero cosmovision. I haven’t always embraced my mission. On the contrary, I struggled with myself, during extended periods of darkness, where I denied my own aptitudes with great endeavor. Without the support of two of my teachers and of my Godmothers, I would not have traversed through the quagmire of my confusion. I bestow upon them the utmost gratitude. And this radiant dream has manifested with the sole purpose of being shared. I consider myself an apprentice along this path which I honor, and it keeps me humble. I live in the Sacred Valley of Vilcabamba, Ecuador for 18 years. I have nested with the shaman, alongside the river which is where are the magic occurs. All within a forest of native San Pedros and Huilcos, which are sacred plants of power. Honoring my truth, this is as honest as I can be regarding my path and my journey. To read Ximan’s self-written biography, click here. 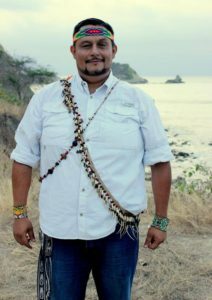 Ayahuasca Shaman, Ayahuascero – Jorge Medina Jr. is 42 years old and he has been practicing shamanism for 12 years. He learned to lead Ayahuasca ceremonies from his father JORGE MEDINA, he is related to the Shuar tribe from Ecuadorian Amazonia and Cofan and Siona tribes from Bajo Putumayo in Colombia. 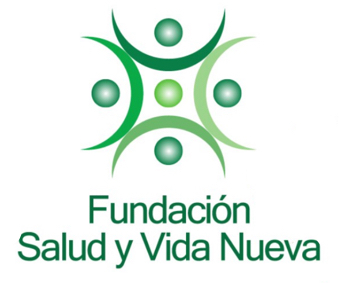 He was blessed by FSI (Sacred Fire of Itzachilatlan) – Ecuador to share the medicine under the design of two tobaccos and to carry out purifying sweat lodges. Along with his 12 year-path, he has been learning from his father, a beloved and respected Medicine man. He has completed his 4-year vision quest long ago, and he is a 4-year sun dancer. He also supported the Star Dance by playing drums in Urcupacha temple, in Ecuador. He has guided many people to prepare themselves so they can keep on the path of freedom and knowledge, so they can attend vision queta in every altar we have in Ecuador. 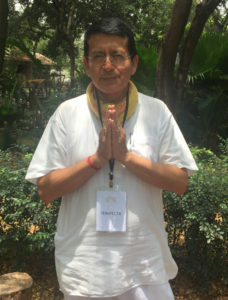 Jorge Medina Jr. facilitates Ayahuasca, San Pedro and sweating ceremonies in the altars of Manabi and Santa Elena, in Ecuador. Titi de Paula, born in Brazil, discovered diverse spiritual practices from the different cultures around the world. Seven years ago started studying and living the ancestral Cosmovision of health from the native tribes of the Americas, therefore had the opportunity to live in diverse tribes, getting to know more than 12 ethnic groups from South America. Yoga teacher, Ayurveda therapist, Pranic Healer, Sweat Lodge Leader, Vision Quest Seeker, Sun Dancer, Men of Fire for the Vision Quest and the Sun Dances, Holder of a Chanupa, Guardian of the Traditional Medicines of the Americas: Ayahuasca, Aguacolla, Rapé, Kambo, and Tabaco. Discover your codes and keys to harmony in different areas of your life, in prosperity, in love, in your work, in your company, in your family. Sessions last one hour and you need to give the Date, Time, Place of Birth and the Months of your Parents Birth to start. You may also record the full session on your cell phone, using a recording app. • Elements of the power of nature. • Family clans and their influence on your life. • Mantra or a sacred sound of power. • Projections of planetary cycles and movements 2018 and 2019. • Places of residence for your wealth and well-being. • Angel Code. Inner message of power. A hug in the heart, Prabhu Mriganath, Ancestral Astrology of India. Maya is a steward of the mountain ENCHANTINGWIND in the Ecuadorian Andes. she’s a Tai chi, Tao yoga, and Reiki practitioner. She is a freedom seeker, nature lover, and a photographer. Tao yoga consists of movements of flowing nature. It connects us with the elements. 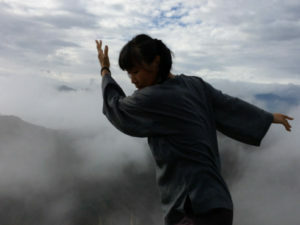 It consists of basics yoga postures, qigong, tai chi and mudras, that help us to ground to the earth. It’s relaxing and meditative. The focus of this practice is to extend, to deepen the mindfulness and awareness in which one to be able to surf better on the wave of the life. Certified teacher, facilitator, practitioner of Hatha Yoga, Meditation, ARUN Conscious Touch, and Vital Readjustment “The 7 Chakras through Dance and Sound”. Lover of exploration with the Breath, Movement, and Sound”. 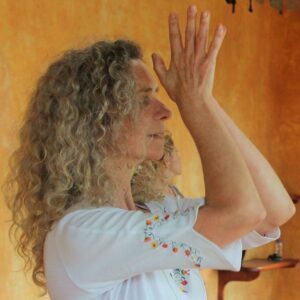 She shares active meditation and the breath and sound workshops for Casa del Sol.